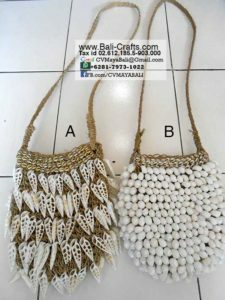 Handmade bags made in Indonesia. Made of organic fibre with sea shells. Suitable as women fashion accessories. Wholesale only, contact us if you interested in buying wholesale.